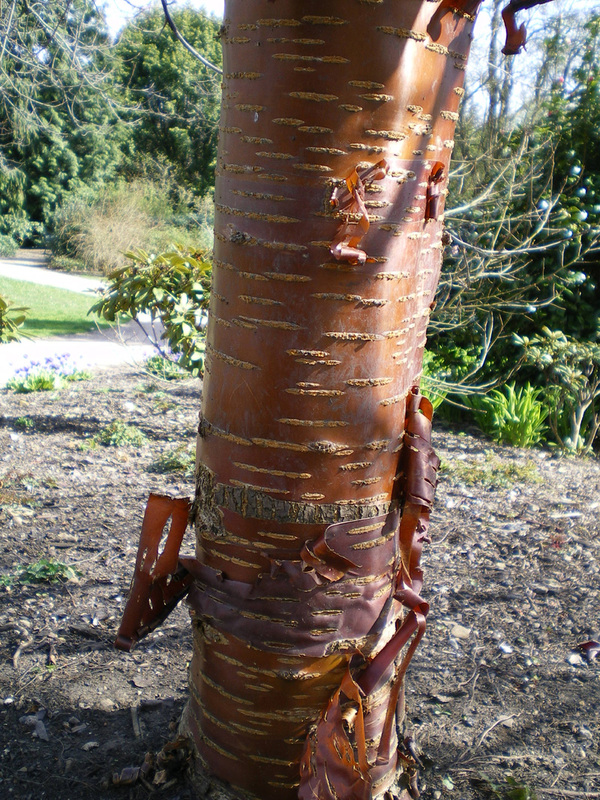 The Tibetan Cherry Tree (prunus serrula) is easily recognised for its polished mahogany coloured bark. This bark, falls off in strips as the tree ages. One of our best selling ornamental trees, this tree is a magnificent point of interest in a garden, particularly during winter. 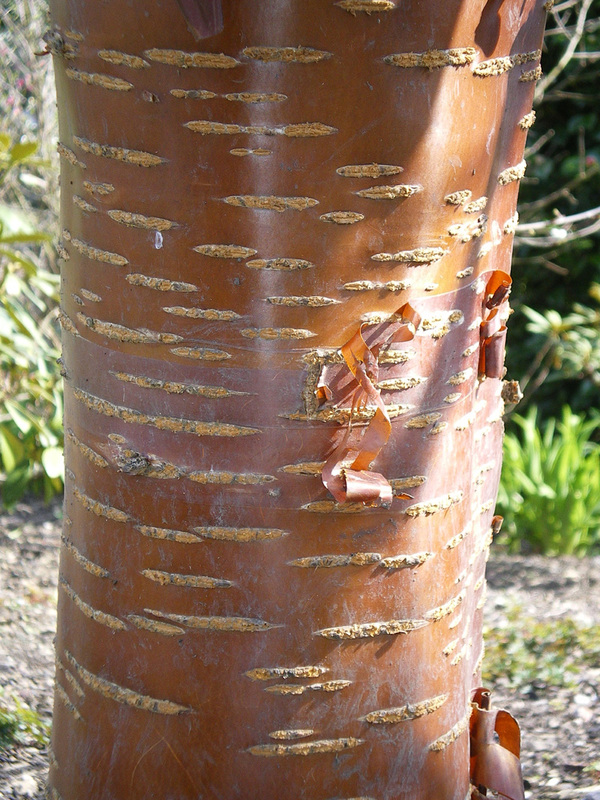 The bark maintains its colour and shine, almost as if it has been polished throughout the year. This tree produces, small, white flowers which are almost totally hidden by willow-type leaves in spring, immediately followed by small, cherry fruits. Expect the tree to be at around 4m high at 10 years old so this would be considered a small tree. 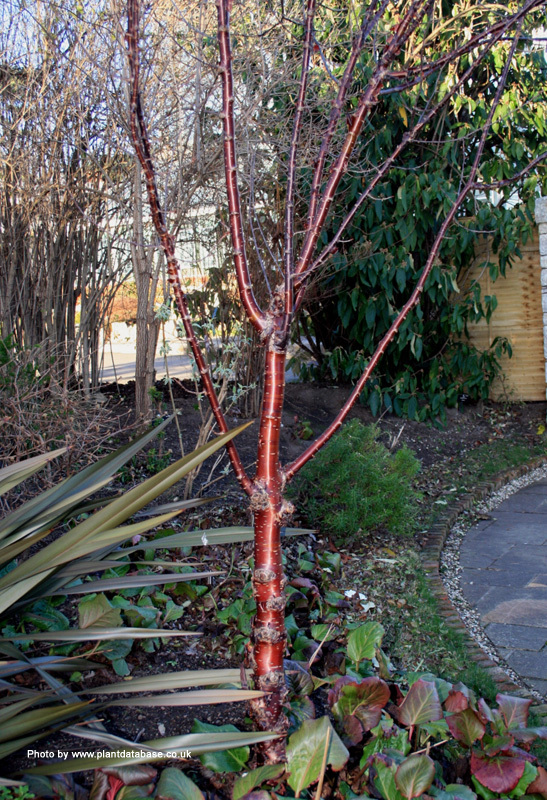 Our Tibetan Cherry Tree is supplied at a height of between 150cm and 250cm in a 7-20 Litre container, which means that the tree can be planted any time of the year and with better results than either bare-root or rootballed trees. 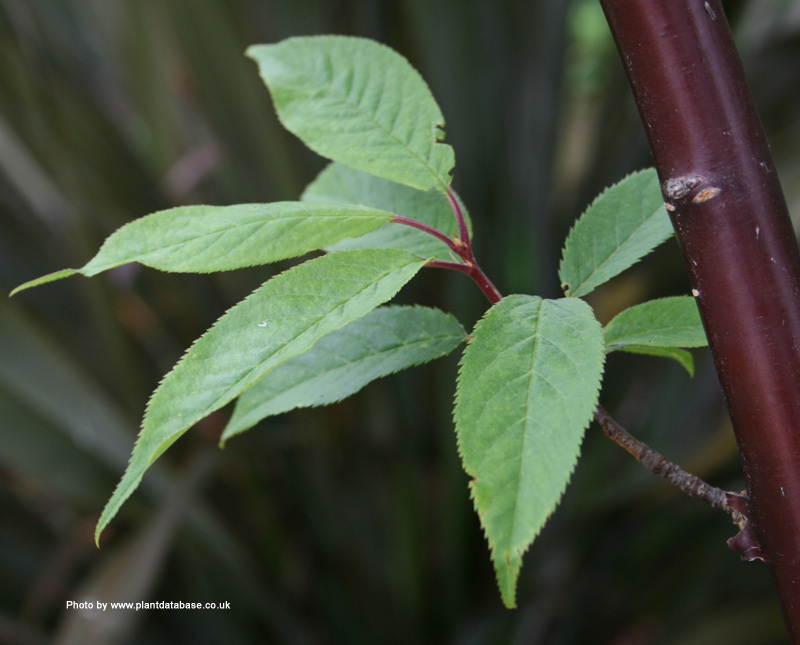 The height range of the Tibetan Cherry tree is quite large because the size you get is dependant upon many variables. Obvious ones such as weather conditions at the nursery, time of the year you buy etc determine where in the height range you receive. The not so obvious ones are stubborn cherry trees that just refuse to grow because there is a personality clash between them and the nurseryman. As you can see, the World of Tibetan Cherry trees is not a simple and straight forward one. Unless otherwise indicated e.g. 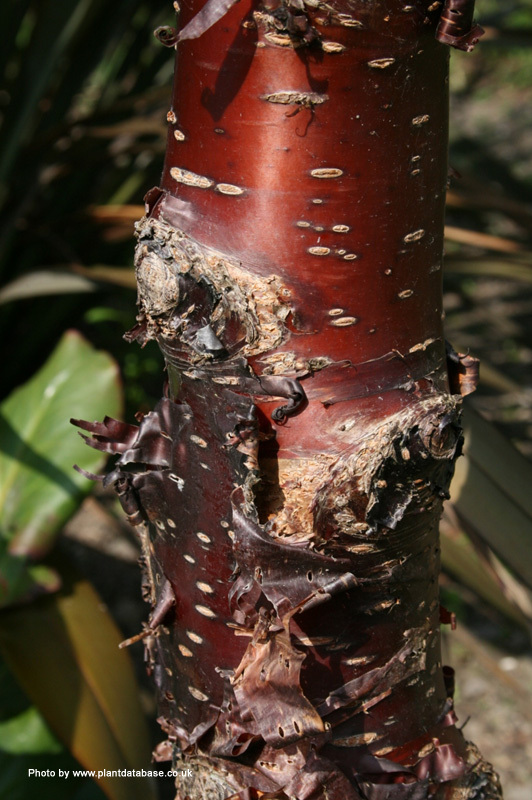 Multi-Stem, you will receive a Tibetan Cherry that will be a Half Standard i.e. there will be clear stem underneath the side branches. A multi-stem has branches that start lower to the ground.